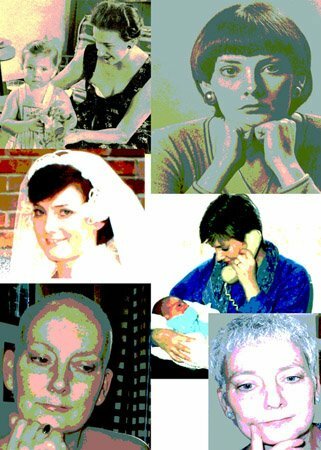 At the age of 46, Joanne Patricia Schweitzer, of Regina, died peacefully on Wednesday, March 19th, 2008, of breast cancer. Joanne was predeceased by grandparents James Condon Sr., Germaine (Carrière) Condon and Clara (Salamon) Maloney, and several aunts and uncles. She is survived by Gord, her husband of twenty-three years, daughter Michelle and son Craig of Winnipeg, and son Brian of Regina; parents Jim and Eileen Condon of Regina, sister Kelly (Gary) Sherlock of North Vancouver, brother Darryl (Karen) Condon of North Vancouver; grandfather William Maloney of Regina; parents-in-law Arnold and Jennie Schweitzer of Prairie River SK, sister-in-law Laurelle (Kevin) Borstmayer of Prairie River, brother-in-law Bret Schweitzer of Calgary, nieces Holly, Heather and Laurel Sherlock, Kate Condon, Lacey Borstmayer, nephews Niall Condon, Jared and Jayden Borstmayer; as well as numerous aunts, uncles and cousins. 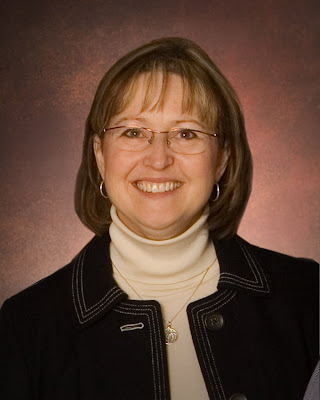 Joanne was born in Regina on October 19, 1961 and received her education at St. Matthew’s Elementary School and Marian High School before graduating from the University of Saskatchewan in 1983. She also received an MBA from Athabasca University in 2000. Joanne was a devoted wife, mother, daughter, sister, and friend. She had a successful career as a Registered Dietitian in various locations across the prairies including Kindersley and Tisdale in Saskatchewan, Edmonton and Grande Prairie in Alberta and most recently in Winnipeg, Manitoba. Gord and Joanne’s careers involved residence in several communities, and they both maintained lasting friendships with people from many areas of Canada. Joanne was an excellent cook and welcoming hostess to all visitors. She was an avid reader; and loved to travel (especially if shopping was involved). Her many needlework projects are treasured by their recipients. Her love of chocolate (and an occasional glass of red wine) is well known! From the first diagnosis of breast cancer in June 2001, Joanne has bravely, honestly and courageously faced every challenge presented to her on this journey with cancer. In the last few years, these were especially frequent and difficult, but she managed to keep smiling and maintain a positive attitude. She endured the many painful surgeries and treatments with grace. Her amazing strength was an inspiration to everyone around her, and to those who maintained contact from a distance through her blog or e-mail. Through online groups or by personal contact, she was a tireless supporter to others facing similar challenges, and provided encouragement to individuals throughout the world. Joanne’s family is forever indebted to the many caring and compassionate individuals at the Allan Blair Cancer Centre, especially Dr. Chalchal, John and the other nurses, as well as the volunteers and other staff. And to the personnel of the Regina Palliative Home Care program, we are forever grateful. Without exception, these dedicated caregivers provided continuous support in an efficient and dignified manner, always considerate of Joanne’s welfare and needs. Special thanks to Lorraine and the other home care nurses, and to Louise, Cliff, Barb, Danae, Joan, and all the other caring people who constantly helped us at home and in hospital. Thanks also to the compassionate and caring staff at Pasqua Hospital in 3B and 3A. Joanne also received excellent care and treatment under cancer programs in Alberta and Manitoba. Thank you to Janice Siemens and her family in Winnipeg for their never-failing support to the entire family. Special thanks also to Anne Bosgoed, and all the “Book Club” members for their constant support. To that special group of Joanne’s “sisters” at breastcancer.org: thanks for your never-failing love and support. Joanne was grateful for all the good wishes, prayers and support received from family and friends everywhere. There are hardly words to convey the depth of our gratitude to everyone. A prayer service will be held on Tuesday March 25th, 2008 at 7:30 p.m. in the chapel of the Victoria Avenue Funeral Home, 2080 East Victoria Avenue, Regina, led by Palliative Services Chaplain Cliff Geiger. The Funeral Mass will be held on Wednesday March 26th, 2008 at 11:00 a.m. at Resurrection Roman Catholic Church, 3155 Windsor Park Road, Regina, Father Ken Koep officiating. Joanne will be buried in Lebret, where a private service for family members will be held. What a beautiful picture and memorial on Joanne. I am continuing to pray for all of you and wish you the strength to carry on and heal. Wishing all of you peace and comfort at this difficult time. A beautiful photo of Joanne, to be sure. I'm sorry I'll miss the memorial service but my thoughts are with all y'all as you make your way through this. What a huge loss is felt with her gone. she has been my twin sister's sole-mate friend since their bonding year in the dietetic internship and ever since. Conversation with her was always facinating and informing..she had a mind that never quit asking important questions..we all loved her and have felt fortunate be included in her circle of frinds.I rejoice in the fact she is free from pain and sorrow now and look forward to our conversations in heaven next. Sorrow and pain are only ours now as we process this loss...tons of love and God's comfort to her family! The Germains send their love and prayers to all of Joannes' wonderful family. Such a lovely memorial and tribute to Joanne. She was an amazing woman who has definately left her mark on this world, especially me. We first met Joanne as Robbie's Beaver leader. We then joined Aquarians and we were able to get to know the entire family and enjoyed many pool events together. We remember the day Joanne told us she was resigning as the clubs secretary to battle breast cancer. She knew it was going to be a big fight and it was. Cherish the memories she was a very special lady - someone that people just will not forget. We think of you often. You are all so special to us here in Grande Prairie. We will cherish all of the special times that we spent together. When the beaver group named Joanne "Sunshine" they were completely right. We are very sad that we will be unable to attend the funeral next week. We will be with you all day in our hearts. We will also remember the little community of LeBret where we visited with you several years ago. What a place to rest. The place where her mom and dad grew up, where you were married. This place was so dear to her heart. We are honoured to have met such a wonderful family. Love Steve, Judy, Darren, Melissa, Adam and Marianne. To the Joanne's entire family, you have lost a real treasure. Joanne was a very good friend to me, and always took the positive viewpoint in dealing with Breast Cancer. Thanks to BC.org, otherwise we would never have met. I will miss you dearly my friend. May God wrap you in his loving arms. What an incredible woman Joanne was to so many women that fight breast cancer. She has now joined many of our sisters and I hope that they rejoice together. Thanks for BC.org with out this site we would never have met..
love and thanks for being you..
A beautiful photograph, so good to be reminder of the lovely woman we have lost. A full and appropriate tribute too. I will be thinking of you all as the services take place today and tomorrow. I hope they are helpful and healing. God thanks you for caring for one of his children. You are all truly blessed.